Developed to meet medium-severe systems the 10 Steel 300 has come to sonorize the most diverse appli.. The new model 6 steel 150 is a high quality product intended for general sound effects and can range.. 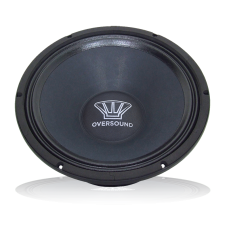 The new model 8 steel 150 is a high quality product intended for general sound effects and can range.. Medium 12 "high professional grade with high power, high flow magnetic set, mobile coil with flat wi..